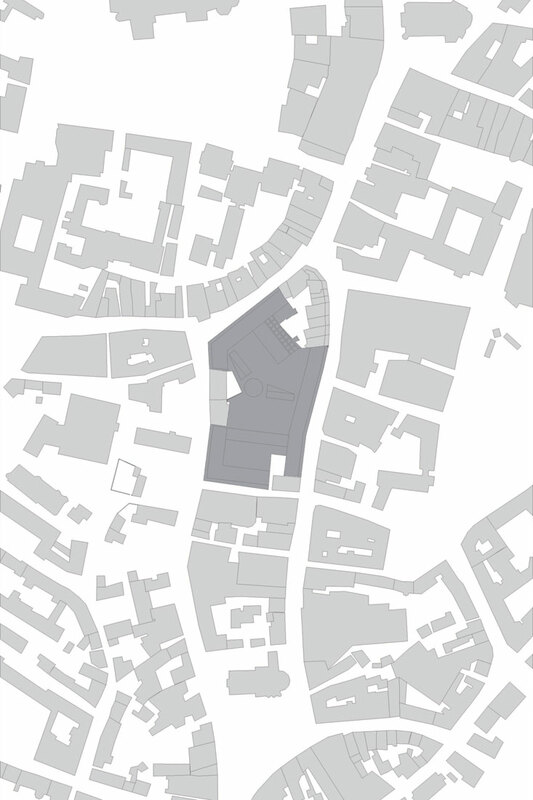 The design sets urban courses by aligning on historical building axis. 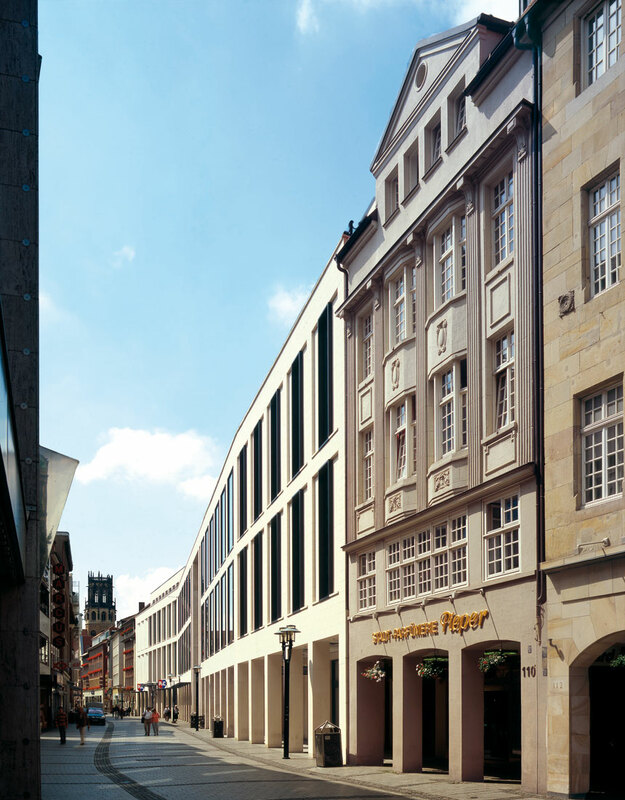 At Rothenburg and Ludgeristraße, the original urban situation is reconstructed by narrowing the street spaces. 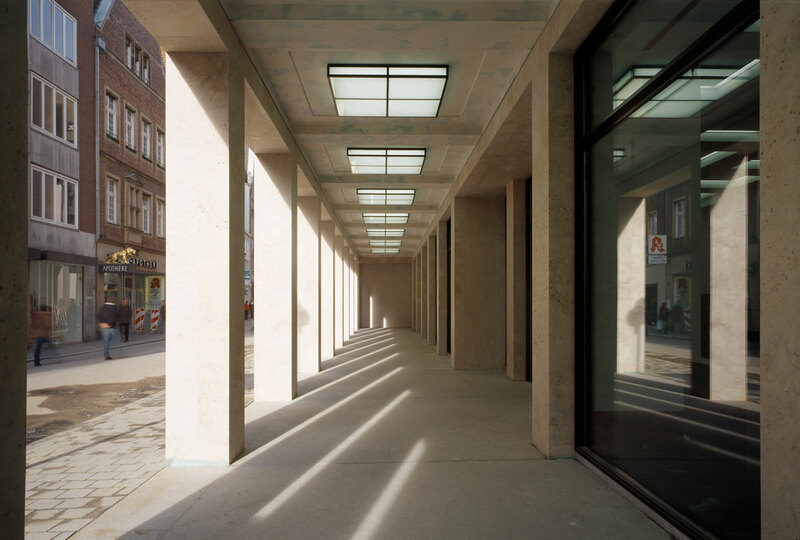 The colonnades, characteristic for the Prinzipal Market, were logical continued leading into the spatially generously build three storey high Passage. 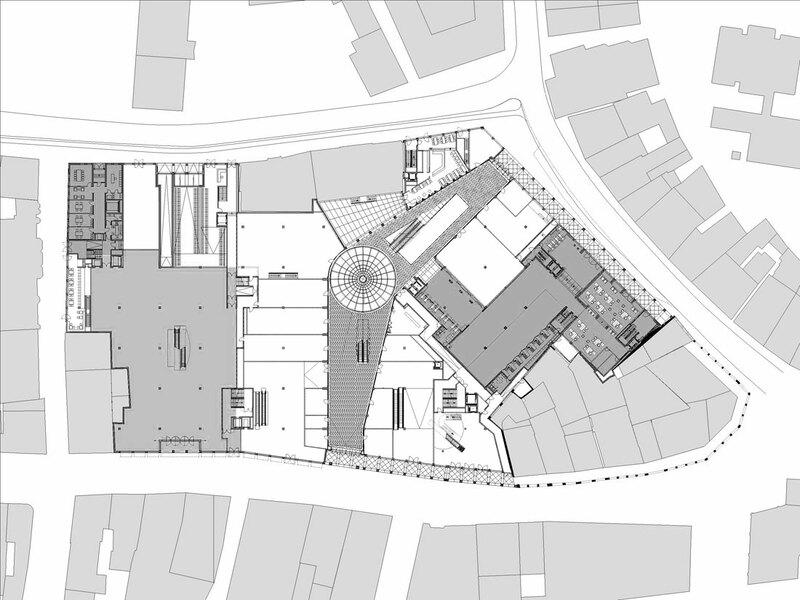 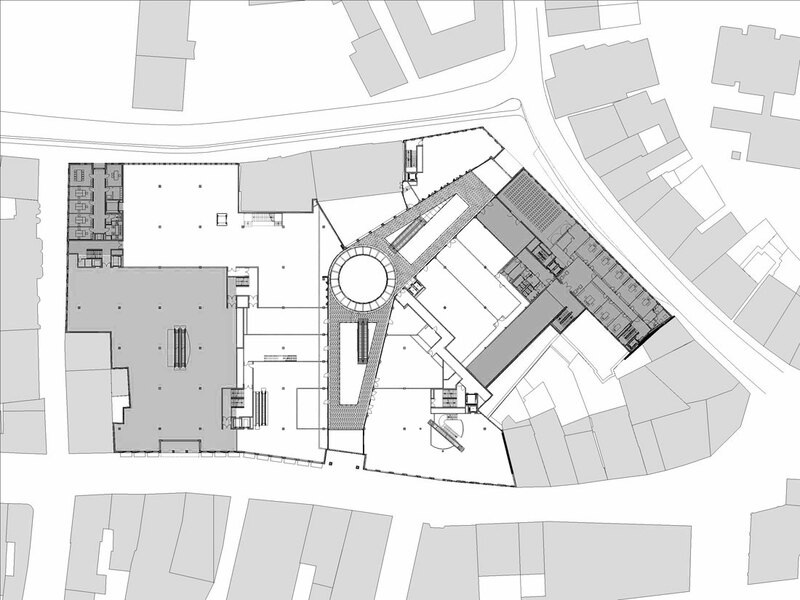 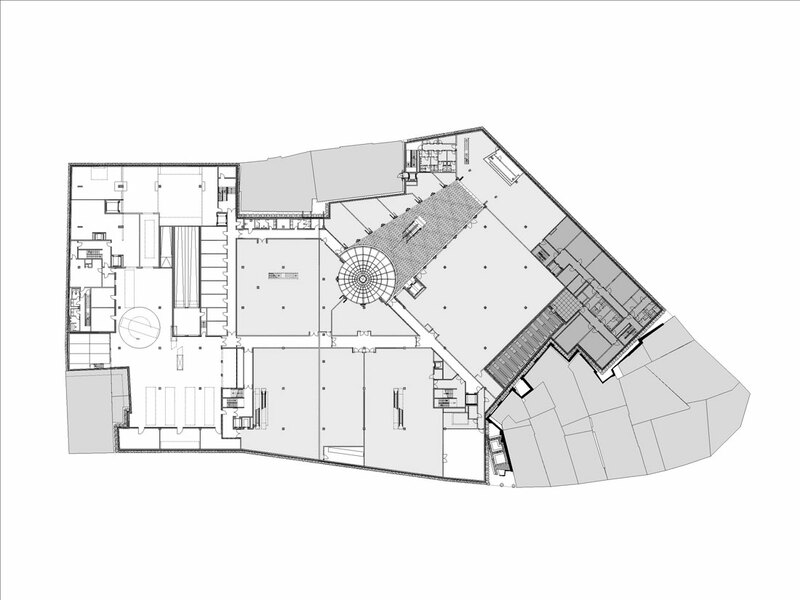 The challenging task was to plan 32.000 sqm gross floor area as multifunctional floor plan for commercial- , office- and financial use taking in consideration the demand of a modern department store and the necessity to blend the building in into the historical sense of the Prinzipal Market. 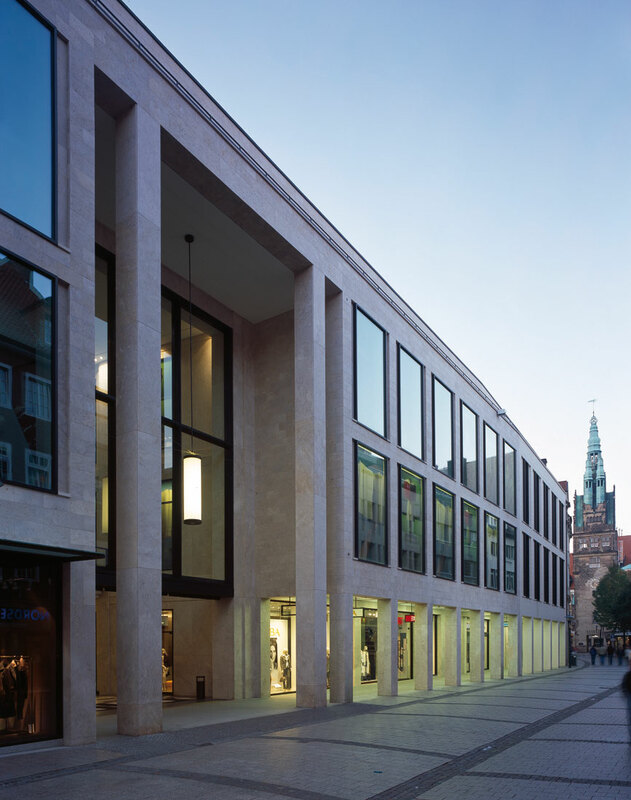 By dividing the façade into unites of usage the impression of single houses is created preserving the fragile pattern of the old city and avoiding one single, solid volume, normally the standard form for a department store. 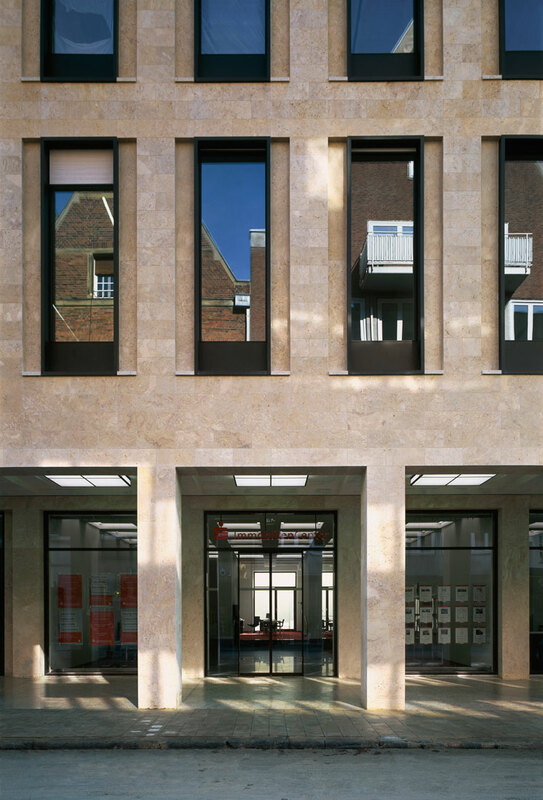 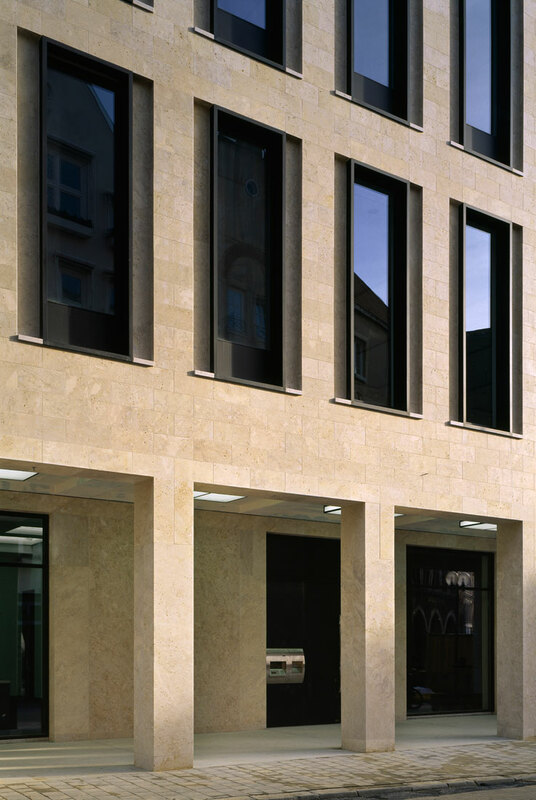 The detailed structuring of the façade and the use of natural stone creates a cautious but ambitious continuation of the existing urban appearance in the tradition of the Prinzipal Market. 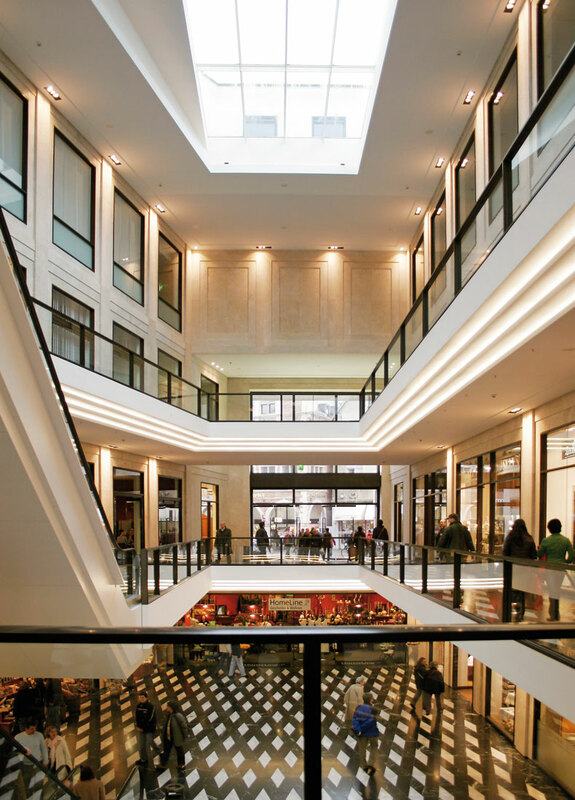 Centrepiece of the Münster Arcade are the new plaza and the Passage with its 41 shops varying in size between 20 sqm and 8.500 sqm. 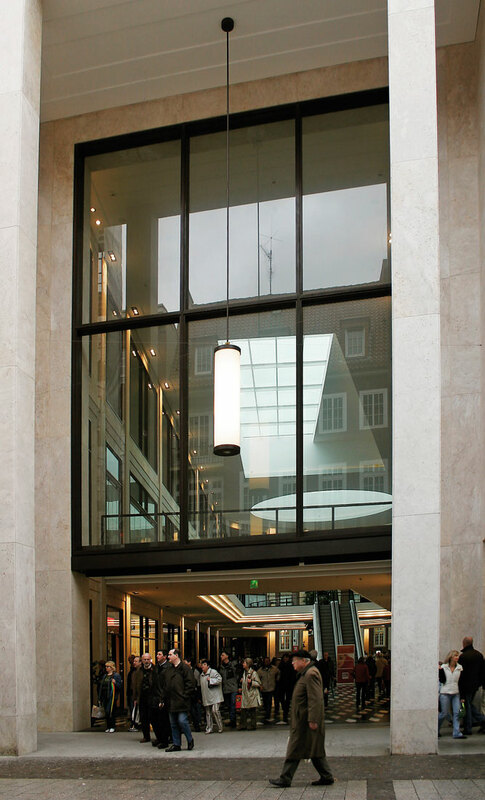 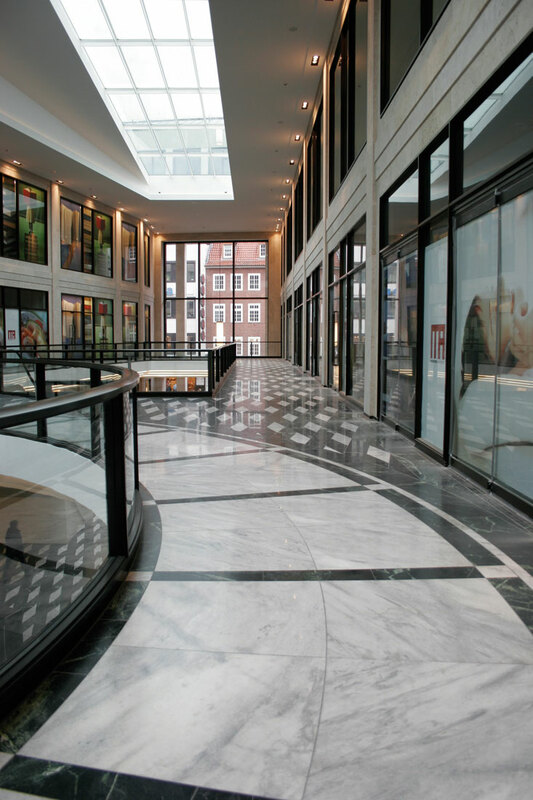 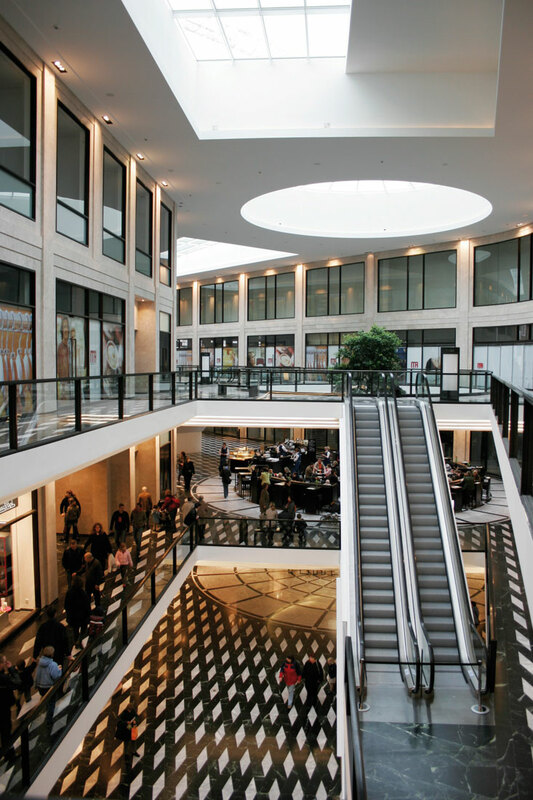 The two hallways of the Passage meet in a spacious plaza, roofed with a flat glass top. 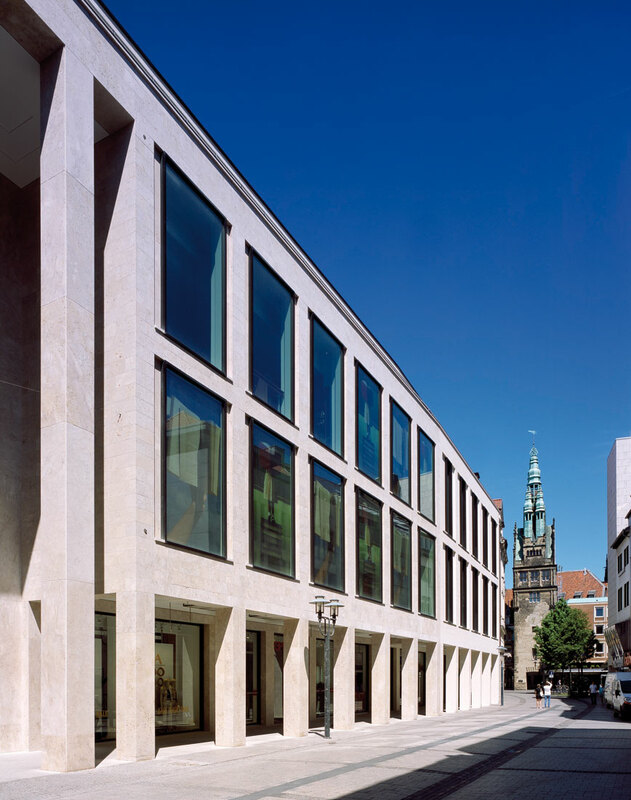 The backside of the Picasso Museum is connected to the glass-roofed plaza and can be accessed through a courtyard. 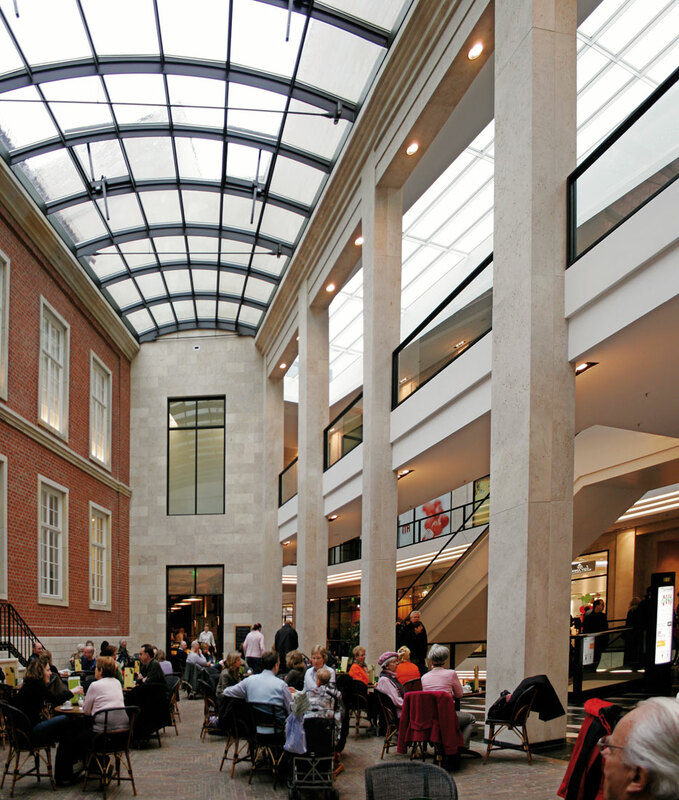 The Picassoyard is completely covered with a glass top and invites the visitor to rest in one of the cafes away from the busy shopping atmosphere.